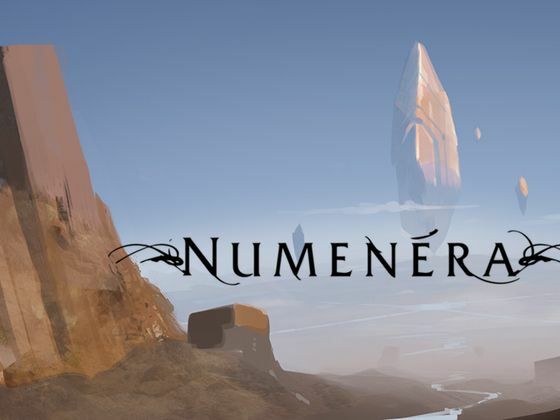 In this installment of the RPG Codex Pen&Paper Interview series, we offer you an interview with Monte Cook himself. A legend of the PnP industry, Monte Cook is one of the main authors of the 3rd edition Dungeons & Dragons and D20. He worked a lot with variations of the theme, even adapting Call of Cthulhu and World of Darkness to D20, besides making compelling 3rd party books. Before that, he worked on the Planescape setting and in the Rolesmaster game. He was also in the 5e team for a while, but left WotC recently. The questions all belong to our resident PnP expert Alex. We are grateful to Monte Cook for taking time out of his schedule to answer them. RPG Codex: You started your game designer career working on the Rolemaster game system. Could you tell us a bit about your work with the system and how, if at all, it shaped the way you see RPGs? Monte Cook: I started with RM because that was the game I was playing at the time (in college). I liked the veneer or precision that the game offered -- specific wounds, granular distinctions between weapons, 50 levels of spells, and so on. It also offered me the ability to handle many levels of play (high level in RM, while crazy over-the-top, is probably easier to deal with than high level in earlier versions of D&D). It also offered an easy way to combine science fiction and fantasy with the inclusion of Space Master. This figured into both of my first books, Creatures and Treasures II and Dark Space. 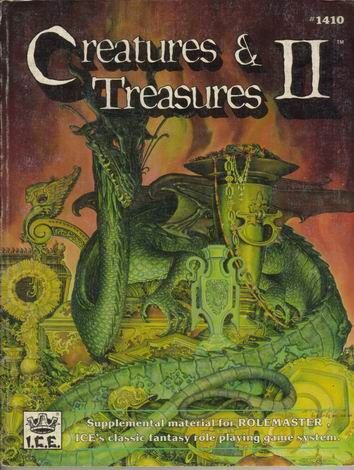 C&T II was a bestiary and magic-item book, and while it was mostly fantasy it included some sci fi stuff, which was expanded in Dark Space -- a setting book for Lovecraftian science fantasy gaming. RPG Codex: Personally, I think Rolemaster is a pretty interesting system. On the one hand, it has a lot of different rules and tables, trying to model all kinds of situations a roleplaying group might find itself in, especially when you throw in sourcebooks. On the other hand, even though it is a very detailed system, rulewise, many of the results it gives you are relatively open. Instead of just giving you mechanical effects, critical tables frequently have results that go beyond the little numbers in their squares, requiring creativity on the part of the players to really make that result important. What are your thoughts on this dichotomy? RPG Codex: After Rolemaster, you worked on the second edition of AD&D, on various sourcebooks and modules. Could you tell us a little about how different the design culture between the two games were? Specifically, it seems to me AD&D at that time tried focusing on settings, the overall impression being that it was trying to outdo White Wolf in their own game. Do you agree with that impression, and if so, did this clash with the old philosophy they had, of making games that were more sandbox oriented? MC: I don't think anyone at TSR was thinking about WW when designing a strategy. TSR was extremely isolated in its thinking. It was top dog and didn't feel much need to pay attention to the rest of the industry. This didn't change until the release of Magic: The Gathering, and that wasn't an rpg issue at all. TSR and ICE were very, very different. ICE was small and the president was as likely as not to have lunch with the lowest employee. TSR was structured and the creatives steered well clear of the executives. Both places, however, were very fun, very enjoyable environments with good people. ICE ran into financial troubles, which darkened things, but in the end so did TSR, so in those ways they were similar too. RPG Codex: You did a lot of work on the Planescape setting. Modules like Dead Gods, The Great Modron March and even the Faction War bear your name in the credits. So do a few of the setting oriented books, like The Inner Planes and Planes of Conflict. How was it working on the setting? What were the parts of the Planescape you most enjoyed? Which ones did you wish you could change? What are your thoughts about the way the Faction War destroyed a lot of what you built before? MC: Planescape was wildly imaginative -- I loved the creative freedom it offered. It encouraged thinking so far out of the box that every day was a new challenge. I loved working on that team -- it was both rewarding and a hell of a lot of fun. RPG Codex: By the way, many of the people here on the Codex happen to love the setting, not only because its own qualities, but because of the Planescape: Torment computer game released by Interplay. Did you get to interact with the Torment team in any way while they were doing the game? Have you played the game, and if so, do you have any thoughts on their vision of the setting? RPG Codex: Speaking of Planescape again, one interesting aspect of it is that, while it is supposed to connect any and all D&D universes, it isn't itself without color, flavor and smell. It has its own thing going on, and not any idea someone could come up with would mesh well with the setting. Were there any ideas you really liked, but couldn't write them in because of that? RPG Codex: While most of your work has dealt with fantasy, you have never shied away from other genres. You wrote the Dark Space setting, worked on the D20 conversions of World of Darkness and Call of C'thulhu, worked on the Dark Matter setting, etc. Are there any kinds of setting you would like to tackle eventually but still hasn't able to? RPG Codex: You were one of the main designers of the 3rd edition of D&D (and consequently, D20). Not only that, but you also wrote many books using the overall system and philosophy. What would you say is the most important design aspect of these games, the thing that makes 3e what it is? Or D20, D20, if you prefer? RPG Codex: One aspect of 3e that seemed to differ from its predecessors is how it is less open than it is predecessors. I mean, the original white-box D&D didn't care to define so many things some people have trouble reading its rules. 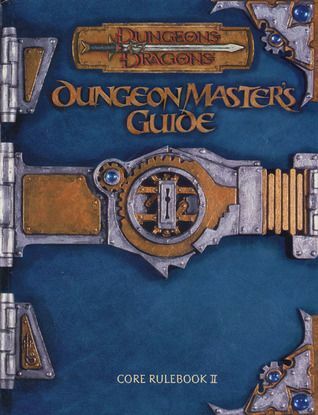 The 1st, and then the 2nd editions tried to make things more spelled out, but the game still frequently didn't care to define what the exact effect of a magic item might be in terms of rules, or what conditions might be necessary to use it. Third edition, on the other hand, tries to make things clearer, it tries to unify rules and have any word used in them be well defined. Why did you choose this approach, what benefits do you see in it? What about cons? Did this have anything to do with Wizards of the Coast's own gaming culture? RPG Codex: You also kept tinkering the formula outside Wizards of the Coast with book after book that tried different things with D20, releasing books such as Arcana Unearthed, the Books of Experimental Might, the Eldritch Might books, among others. Are you done with the basic D20 format? Or would you like to expand it further? Rules-wise, which of your books are you most proud of? Would you now like to rework some aspect of it? RPG Codex: I understand you have a deep love for writing settings. You wrote the Ptolus book, a behemoth of more than 600 pages. Could you talk a little about what you consider most important when designing a setting? What qualities do you think are important in a setting to be used for role playing games? Do these conflict with some of the qualities of a good setting for books and movies? RPG Codex: In particular, as far as settings are concerned, I have heard at least some complaints about how 3e dealt with settings. Some fans of the 2nd edition settings like Darksun or Planescape seemed to feel that converting them to 3e's more balanced, structured approach went headlong against some aspects of the settings, trying to "fit a square peg in a round hole". Do you think such criticism is fair, that these settings would be better played in another game system? What are your thoughts on the limits of settings for 3e and RPGs in general? RPG Codex: You wrote the module Return to the Temple of Elemental Evil. 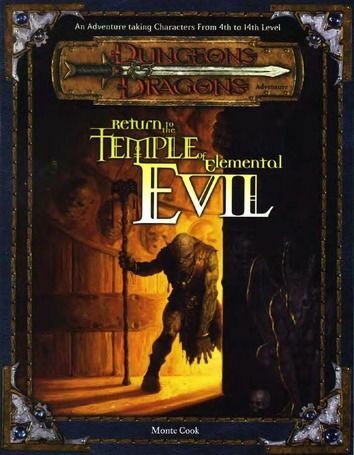 Not too long after it, Troika Games released a computer adaption of the first Temple of Elemental Evil, but using the 3rd edition rules (in fact, the only computer game that implemented 3rd edition rules as they are written, turn based). Was there any exchange of ideas between you and the Troika team? Did you ever have the opportunity to play their game, and if so, what was your opinion of it? Also, did WotC at any point consider basing the game on your own module instead, and take advantage of reciprocal promotion? RPG Codex: Speaking of computer games and the third edition, do you feel that the less open rules system of 3e makes it a better candidate for transition to computers than 2e, as it requires less GM adjudicating? In what ways do you think computer RPGs are more limited than table top ones (if at all), and how far do you think it would be possible for them to go? Do you think that having a rules system open to adjudicating is important for a pencil and paper roleplaying game? MC: I suspect a 3E game is easier to code than a 2E game (in fact, I know it to be true). Computer games are limited in their inability to handle non-proscribed actions. Imaginative players are better off playing a tabletop game. In order for this not to be the case, we'll need actual artificial intelligence. RPG Codex: After you were done with Malhavoc, you decided to focus on writing fiction, correct? Why did you make this decision? Were you burned out of RPG design? Also, could you tell us a bit about how you see these two things relating? In what ways can creative writing help and RPG? In what ways do the addition of an interactive element make this tricky? MC: I am interesting in all kinds of writing. I needed a break from the structure of game writing. RPG Codex: Speaking of different views of D&D, this has become quite accentuated. 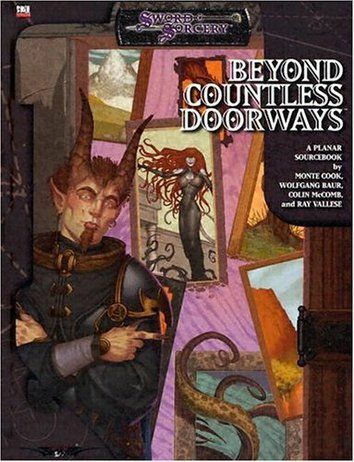 Thanks to Paizo's Pathfinder being similar, design-wise, to 3e and many Old School Renaissance efforts such as Labyrinth Lord and Castles & Crusades, the differences in design and philosophy of the games are more pronounced than ever. How do you feel about that? Do you have any take on why the different styles appeal differently to different people? Do you think all this segmentation can be harmful to the industry? Do you see this as enabling a cross pollination of styles, allowing new things not done before? RPG Codex: Since leaving Wizards, you have gone back to your own endeavor, the Monte Cook Games site. From your blog, it seems like you are working on a new system already. Could you tell us a bit about what you have in mind and how it differs from your previous work? Special thanks are due to Sceptic and Zed for their feedback on the questions.